Brown Moore Law helps our car accident and personal injury clients recover compensation for their injuries and losses caused by the negligence of others. Contact a car accident lawyer by calling 844-452-3688 toll-free or by contacting us online. Speaking with a responsible attorney immediately after a car accident or personal injury is almost always in your best interest because we can advise you on what information to present that (1) doesn’t jeopardize your claim, and (2) maximizes your ability to recover. Our legal team knows the complexities and challenges accident victims face. Not all law firms focus on handling the practical issues involved in a personal injury accident in addition to pursuing maximum compensation for accident victims. At Brown Moore & Associates, PLLC, we believe our job is to provide comprehensive services during a time of uncertainty. We are committed to helping accident victims hold at-fault parties accountable, while seeking maximum compensation for their ongoing medical needs, lost wages, pain and suffering and other damages associated with the personal injury accident. We also help clients understand how they can get their medical bills covered following a personal injury accident. Our legal team provides practical advice encouraging you to follow your doctors’ orders. We want to help you get better and mitigate your losses. Why Should I Hire a Car Accident Lawyer in Charlotte, North Carolina? Establishing who was at fault and whether they were negligent can be difficult. If someone contests liability after a car accident, it might be necessary to hire investigators to figure out exactly what happened and establish negligence. Experienced car accident lawyers know where to look for evidence that supports your case. You might admit fault without intending to. Insurance companies might try to obtain your statement and ask certain questions which can cause you to admit full or partial liability for an accident. These statements can limit your ability to recover compensation for your injuries, medical expenses and damages to your vehicle. Attorneys can act on your behalf and deal directly with the insurance companies. Some car accident injuries don’t appear for a while after the accident, sometimes weeks or months. Don’t wait for medical problems to worsen before seeking medical and legal assistance. If someone else’s negligence caused the accident, it is in your best interest to talk with an experienced accident lawyer as soon as possible. He/she will help you understand all of your options to obtain fair compensation for all of your expenses, including: vehicle repair costs, medical and hospital expenses, prescription medications, physical rehab costs, lost wages (past and future), and pain and suffering. Car accident lawyers have experience anticipating and avoiding obstacles. If the other driver or the insurance company is low-balling you, attorneys can advise you about your options for filing a lawsuit and going to court to obtain fair compensation and a positive outcome. You are at a disadvantage if you try to act alone. Depending on the circumstance, there may be witnesses and evidence (missing or hidden evidence) needed to bolster your claim. It can be intimidating to deal with medical insurance and auto insurance companies. Lawyers who specialize in car accident cases will educate you about the best way to proceed. In car accident cases, you have a right to maximize your recovery from all available sources. Make sure that you are not dealing with a law firm “settlement mill” that has hundreds of cases overseen by paralegals or case managers, where they try to rush your case through without maximizing your chances for full compensation. Street cameras, computerized car systems and recorders, cell phones – all of these devices make it likely that evidence about the accident is on one or more of these devices, and could become a factor. Police will investigate the scene of the accident, and you might be asked questions or asked to provide a written statement. Your answers to these questions immediately after an accident can have an impact on your case. Auto accident claims can go in lots of different directions, and without an experienced attorney on your side you limit your ability to receive full compensation for damages and injuries. The fine print on medical insurance and auto insurance can be difficult to understand. Motor vehicle accidents can cause tremendous and permanent damage to those involved in the collision and their family members. Recently, the National Highway Traffic Safety Administration published a comprehensive report attempting to put a dollar value on the total amount of loss experienced due to motor vehicle collisions. The agency found that the economic costs alone totaled almost $900 for each and every person living within the United States. The cost of car accidents should be paid by those responsible for causing the collisions. This may include drivers who break the rules or who are careless in some way while traveling on the road. If car makers produce dangerous vehicles or defective car seats, they too can be held accountable. Even those responsible for designing and/or maintaining the roads could potentially be liable when their failures lead to accidents. A Charlotte auto accident lawyer can provide assistance to those who have been harmed and help them determine who to sue to obtain the compensation they need to cover crash losses. The National Highway Traffic Safety Administration (“NHTSA”) reviewed data on the number of motor vehicle collisions in 2010 to determine the societal costs of car crashes. There were 32,999 deaths, 3.9 million non-fatal motor vehicle collision injuries and 24 million accidents that only caused property damage over that period of time. Based on the information obtained about the crashes over the course of that year, NHTSA concluded that the total aggregate losses from vehicle wrecks was around $871 billion. This includes $277 billion in actual economic or financial loss. It also includes $594 billion in losses due to decreased quality of life, earlier deaths and other non-financial consequences that crash victims suffered. High car accident costs at the time were also driven by those who operated a vehicle while impaired. Around 18 percent of the total economic losses experienced in the United States due to car crashes occurred in accidents where a driver was under the influence of alcohol. An estimated $158 per person in the U.S. was lost due to drunk driving crashes, and the total bill for damages was around $199 billion. Speeding and distraction were the other two prime reasons why the bill for accident losses is so high. Speed-related collisions accounted for 21 percent of all economic and societal losses experienced by the nation in 2010. An average of $191 was lost per person due to damages from speeding accidents, and the total bill was around $59 million. Distraction caused slightly less harm, as distracted drivers were responsible for around 17 percent of total economic loss due to car accidents. Still, the bill for distracted driving crashes, including collisions caused by drivers text-messaging, was around $46 billion. Individuals and families are typically not equipped to fully cover their own losses after a crash. Those who were responsible for causing the accident should be responsible for paying the bills so those who have been physically harmed do not also suffer financial loss. 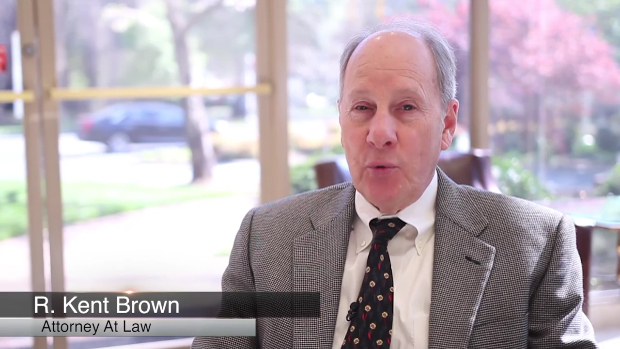 Brown Moore and Associates can assist individuals with pursuing a damage claim. Call us today. For many decades, engineers, legislators and law enforcement organizations have fought a good fight against injuries caused by motor vehicle accidents. Engineers work to make cars more crash worthy and roads better designed. Legislators pass laws designed to protect people who travel our roads and highways — such as placing limits on driving privileges for teenagers. Law enforcement agents conduct DUI checks on holidays, such as New Year’s Eve, when many people tend to drive while intoxicated. Despite all these well-intentioned efforts at making driving safer, accidental injuries continue to be a painful fact of life in our fast-paced world. You may have arrived at this web page because you or a family member was seriously injured in a motor vehicle accident in North Carolina or South Carolina — or because you lost a loved one in a fatal car wreck. 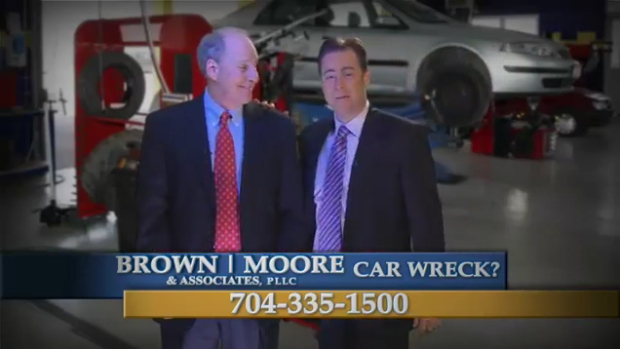 Brown Moore & Associates PLLC has handled hundreds of car and truck accident cases. Our car accident lawyers are very involved in every aspect of each client’s personal injury case. This firm is responsive, professional and cares about its clients. I would recommend these lawyers to anyone in the greater Charlotte area. Brown Moore Law practices personal injury law to help our clients recover compensation for their injuries and losses caused by negligence of others. Contact an experienced car accident lawyer by calling 844-452-3688 toll-free or by contacting us online.